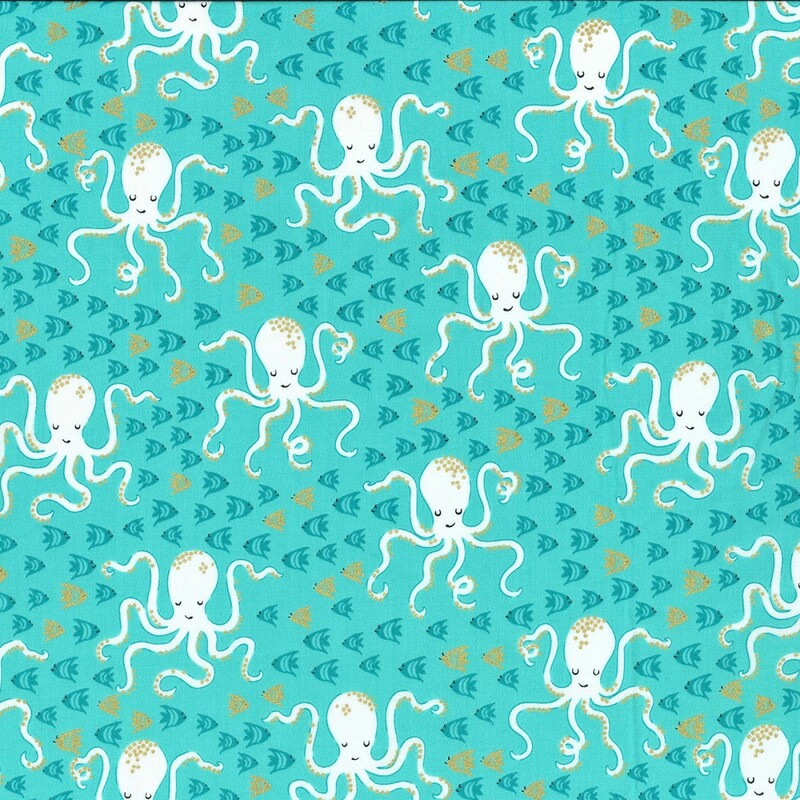 Octopus and fish print with metallic gold details on an aqua background, 100% cotton from the Michael Miller Glitter Critters cotton collection. 110cm / 44" Width, this fabric weighs approximately 150gsm. Multiples of a size will be cut as one piece unless requested otherwise.